Long time lurker... Finally joined. So while tracking down why my AC compressor won't turn on, I found a bunch of chewed up wires by my IPDM on the passenger side fender. On the 3 connector bank, the rearmost connector has chewed up wires. 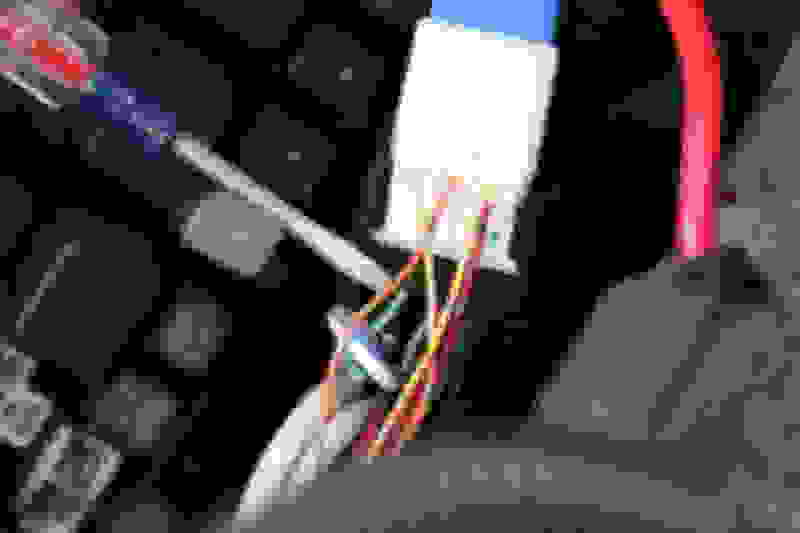 Easy enough fix except 2 of the wires are the same color and I can't tell which goes where since the wire is nibbled all the way down to the connector. 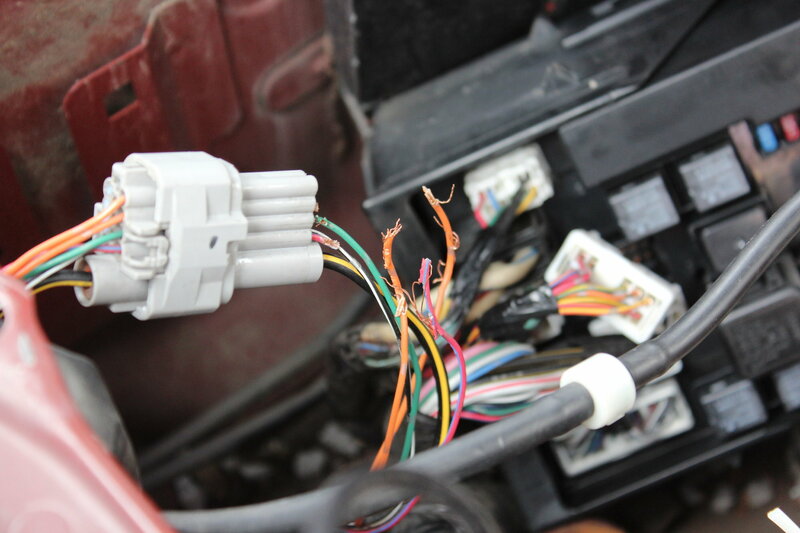 I was able to trace one of the orange wires to the backup light relay. 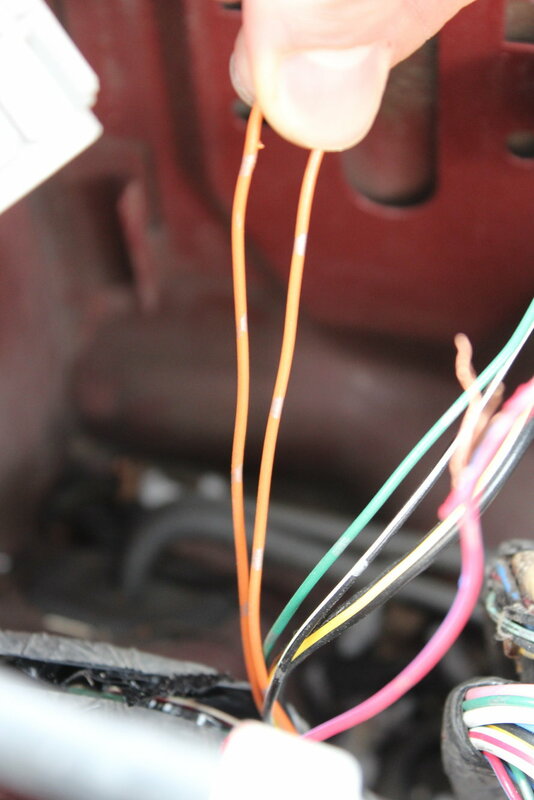 No continuity exists between the 2 orange wires. I can't tell if they are related. Anyone have a detailed wiring diagram? What year? I have 2006 sedan and coupe FSMs I could extract diagrams from. There are colored dots on each orange wire, they are a different color. 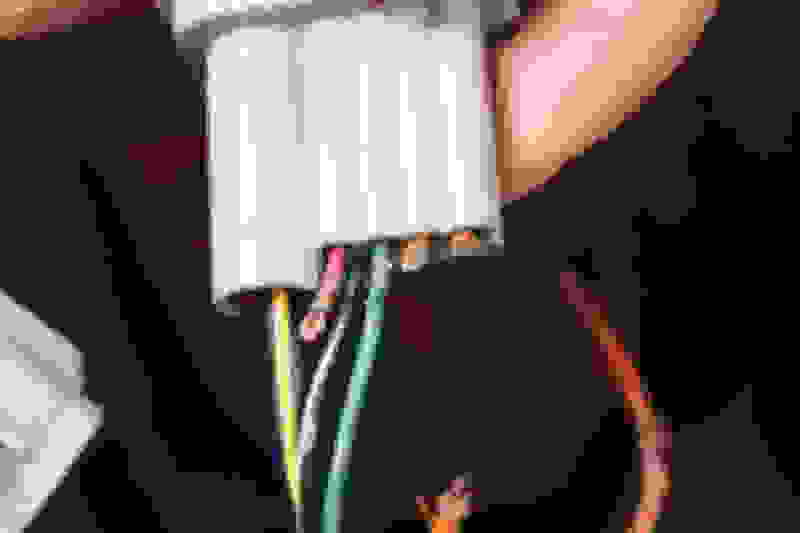 You can also find the full wiring diagram inside the FSM, section PG Power and Grounding. Sorry. 2003 Sedan. It was one of the ones with the factory clutch fan if that helps. 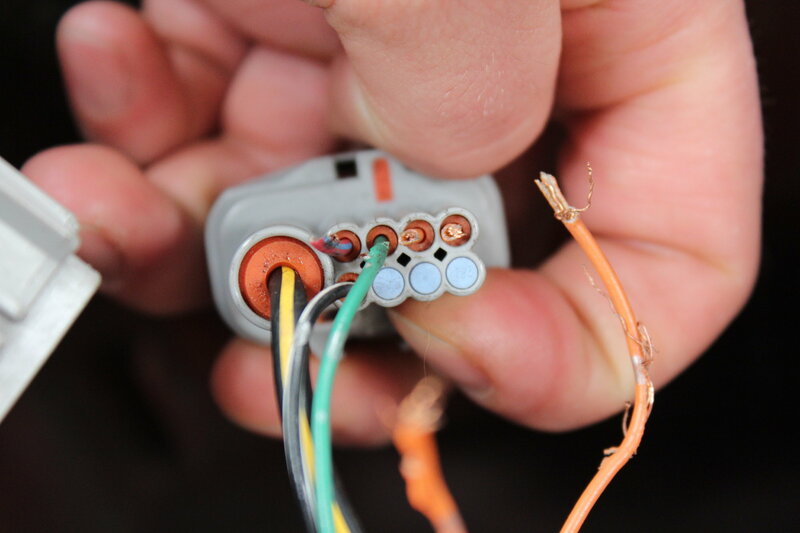 As far as the dots on the wires, they look the same to me but regardless, they are chewed down to the connector and maybe 1mm of wire exposed. All I can tell is that they were orange. 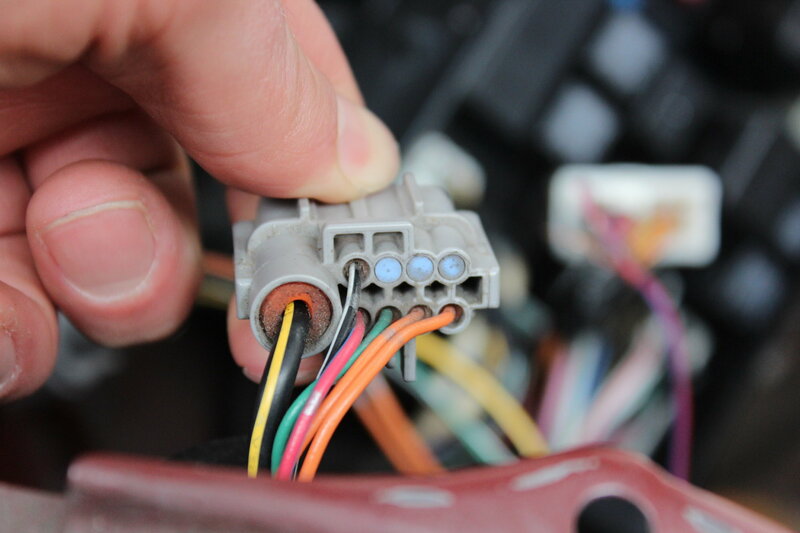 I was able to trace one of the orange wires to the back up light relay. Don't know where the other goes. Ran a continuity test and no continuity when the vehicle is off. When running there is continuity on the chewed side, but never continuity on the other side. Issue is fixed. Pin 4 Orange Wire is AC Pressure Sensor. Pin 5 Orange is Backup Light Relay. Backup lights and Compressor work now. Ignition wire, parking lights wire,door trigger wire. 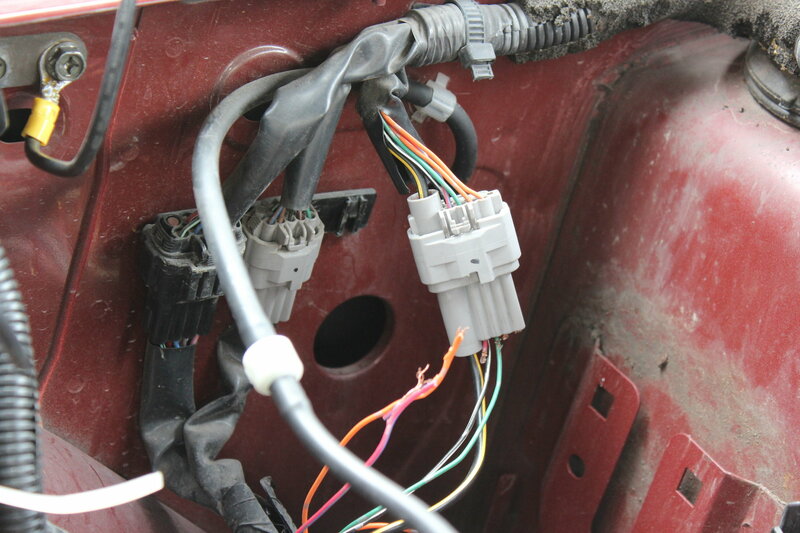 ignition wire 12v, parking wire 12v, door trigger wire. Quick Reply: Rat ate my wires! Help locate wire position.